The Northern Lights, the Midnight Sun, eight seasons, clean air and pure nature. We’ve got plenty of stuff on the unique features of Lapland. Filter the magic with the buttons below. Looking for a quiet place to hear your own thoughts? Welcome to Lapland's forests, villages, holy sites & national parks. Visit Lapland's myriad magical igloos, ice saunas and snowcastles, as guided by a local professional ice builder. Winter in Lapland means flying down the slopes on skis, trekking Finland's tallest mountain with snowshoes, and visiting castles made of snow and ice. Have you ever wondered about Santa's address or how to write a letter to Father Christmas? Wonder no more! Combine auroras with a fell landscape or a thrilling e-snowmobile safari, and you'll have an unforgettable experience! Ever wanted to know where the Northern Lights come from, how we observe them, and where you can see auroras for yourself? Canyon vistas & Arctic mountains. 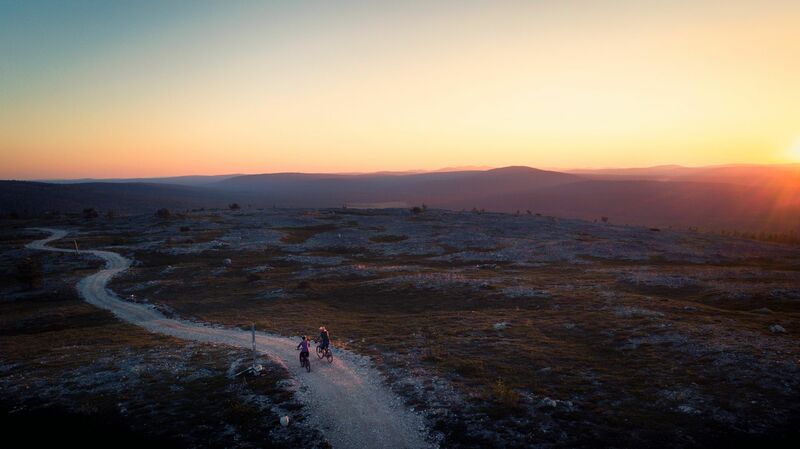 Lapland is utterly Instagrammable. Here's our list of fave places to capture the moment. An idyllic beach surrounded by whispering pines or a raucous riverside ... we have some of the best beaches in the Arctic! The Sámi are the only indigenous people within the European Union area. Sámi poet, musician and indigenous peoples' spokesperson treasures the nature and peace which he finds in Sámiland. The Polar Night is a bit different from the night anywhere else.